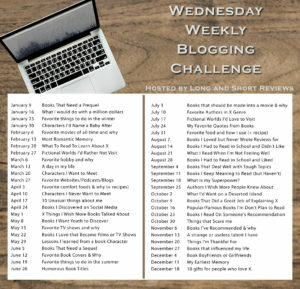 19 Responses to Wednesday Weekly Blogging Challenge: Comfort Foods and Recipes and Whys, Oh My! 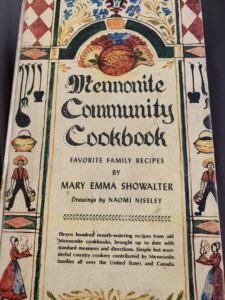 My great grandmother used to make dandelion salad in the summer. It wasn’t my thing, but when I see it, I think of her. 🙂 Good post! It’s pretty cool that you have that reminder of her. We used to have ground cherry pie and my aunt made the best dumplings ever (oh whoops we all think that about our families don’t we?). We also had what we called dandelion greens. I put a spinach dish on my blog that has basically the same ingredients as your dandelions. Heh, yes, I think we do. That spinach dish is pretty similar to the dandelion salad, yes. And thanks. Your post was great, too. I’ve always though making pretzels might be a fun one for my daughter and me. I have heard of people eating dandelions, but never seen an official recipe. Long, long ago I went on a day hike with a guide who taught us about edible wild plants. The fact that you have these recipes is a real treasure. That pretzel recipe is perfect for kids. It’s one of the recipes my nephew tried a few years ago when his mom started teaching him how to cook. He loved it. And I think it would be neat to learn about wild edible plants. Another type of ground cherry (in the same family, I think) are tomatillos which are a little easier to find. 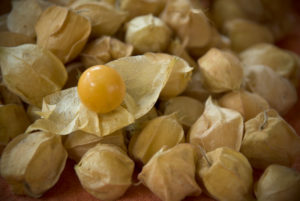 I have a friend who farms and runs a CSA, and he’s offering ground cherries this year. I’m stealing your pretzel recipe. 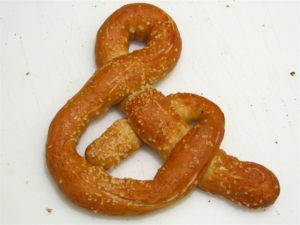 Every time I’m at the mall, I crave Aunt Annies pretzels because they smell SO good. But they are also SO expensive. I didn’t know that. Cool! I hope you enjoy the pretzel recipe. It’s pretty simple to make and tastes great. 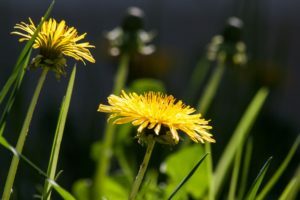 If you make dandelion wine, blog about it! I’d love to know what that process is like. Soft pretzels are my downfall! I love making them from scratch though. I’ve never tried to cook dandelions before. I’ve nibbled on the stems, but I honestly hadn’t considered that they could be part of a recipe. Neat! Thanks. What do dandelion stems taste like, out of curiosity? I love the cherry pie! I’d never heard of dandelion salad, but it sounds interesting. Thank you. It’s a bit more sour than other types of pie, but it’s really good. Would you ever want to try a dandelion salad? I’d certainly give it a go. We would eat no breakfast, go to church, then eat this. The combination of mashed potato, mint sauce & gravy is my soul food for this reason.